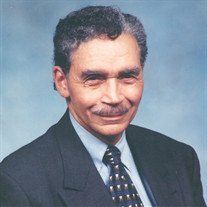 Obituary for Aubrey James Vannoy | E.F. Boyd & Son, Inc.
Aubrey James Vannoy was born on January 5, 1926 to Sallie and Buford Vannoy Sr. in Nashville, Tennessee. He was a former purchasing director for North American Coal Corporation for many years. Aubrey enjoyed playing the piano, home remodeling, gardening, photography, traveling and decorating his yard with Christmas lights. He was a devoted husband of the late Geneva, beloved father of Reginald and Anthony, dear grandfather of Reginald Jr., and cherished brother of Eunice. His memory will be cherished by all who loved him.